Have you ever wondered where those beautiful lilies in Monet’s painting can be admired that isn’t within the walls of the Met? You’re about to find out. Monet, Van Gogh, Hokusai; Water Lillies, Starry Night, The Great Wave. 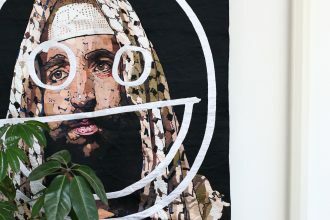 We know them in their art form, but where do they actually exist outside the two-dimensional world? Well, secrets they are no more. So, prepare to get cultured and discover where the most famous landscape paintings are located and how to find them. Claude Monet’s Water Lilies (or Nympheas) are a collection of around 250 oil paintings by French impressionist Claude Monet. 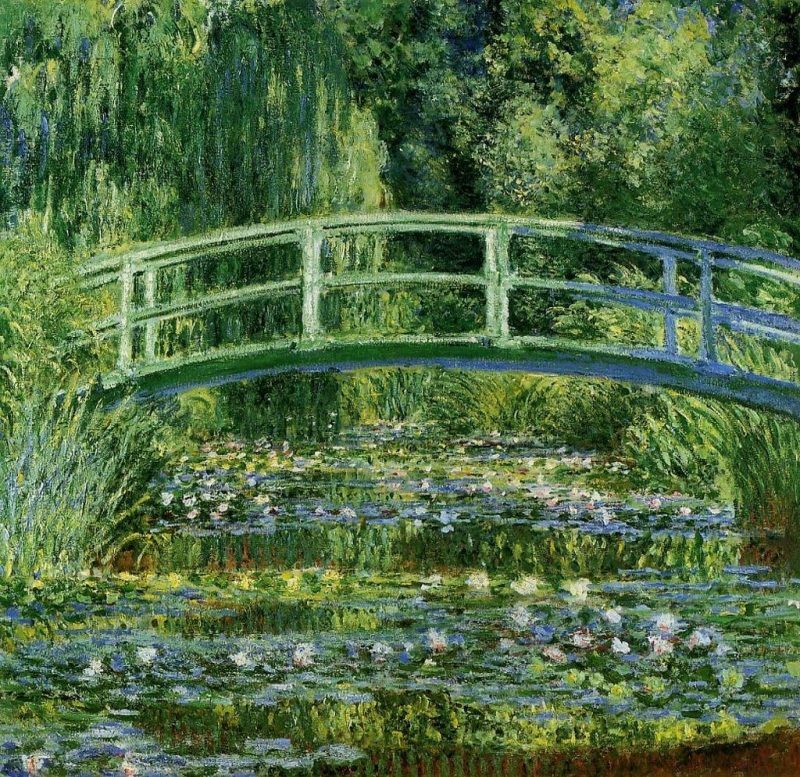 The paintings depict his gardens at is home in Giverny, France. 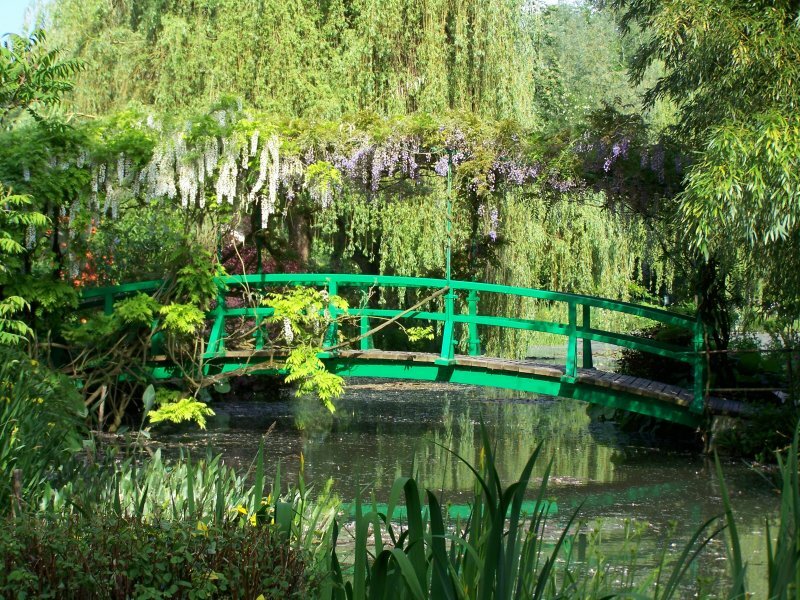 Giverny has been made famous by the painters residence in his late life, so much so that it is the second most visited tourist site in Normandy after Mont Saint-Michel. 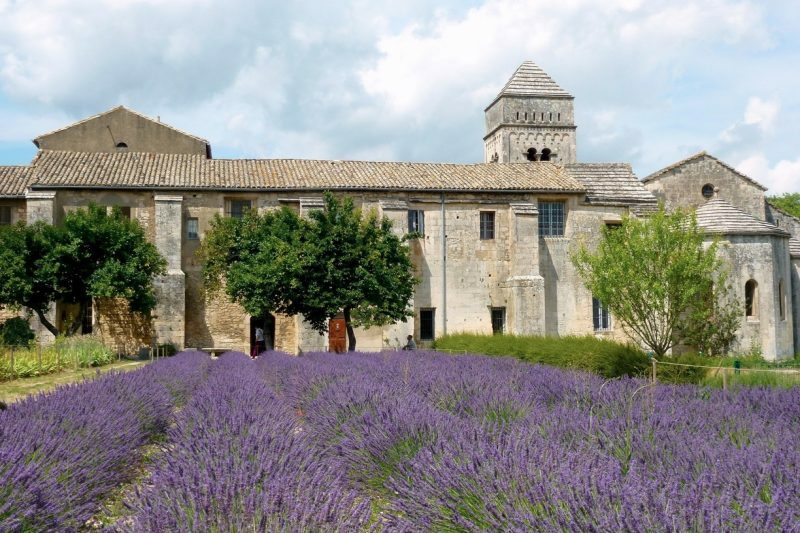 It is about an hour from Paris, and sits idyllically waiting for the visitors who, through the small fare charged for entry, keep the Fondation Monet (which preserves his house and gardens) well supported. 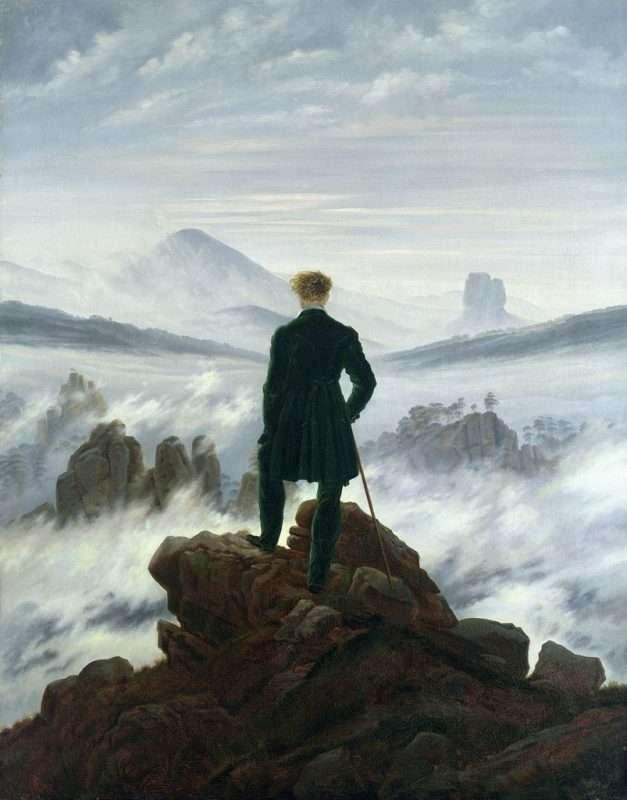 Friedrich’s beautiful painting is considered one of the masterpiece’s of Romanticism and depicts various elements from the Elbe Sandstone Mountains in Saxony and Bohemia. 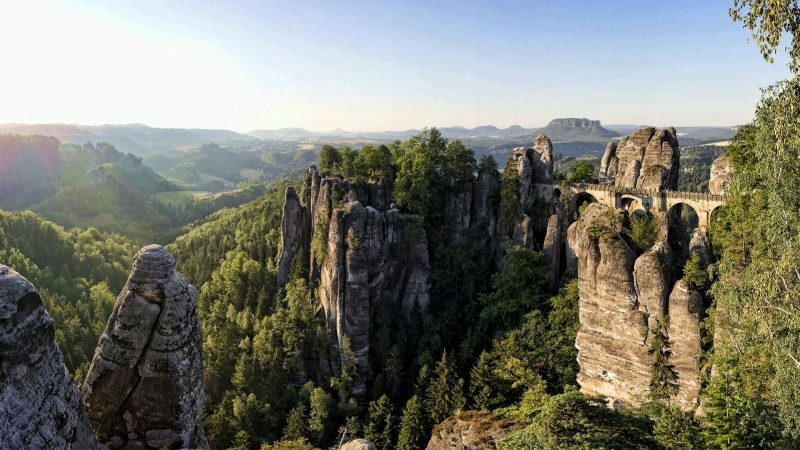 The highland region of Elbe is an hours drive from Dresden, and is ideal for climbing and hiking. As can be seen in the picture, the mountains themselves are unique and extremely picturesque, while the sandstone bridge is an amazing example of skilled craftsmanship, and well worth the trip. 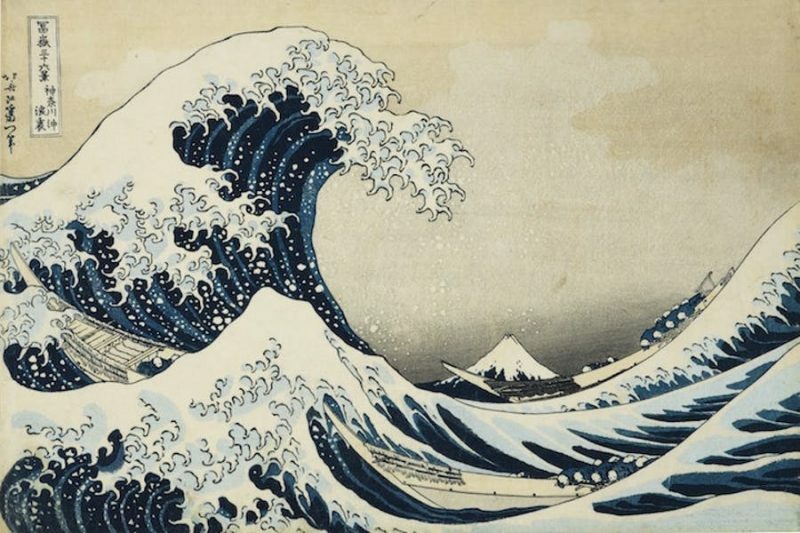 The Great Wave off Kanagawa was originally a woodblock print by Hokusai. It is the first print of his series Thirty-six Views of Mount Fuji. The print has original impressions in museums all around the world, and has become significant in popular culture, as it is continuously recreated and re imagined. 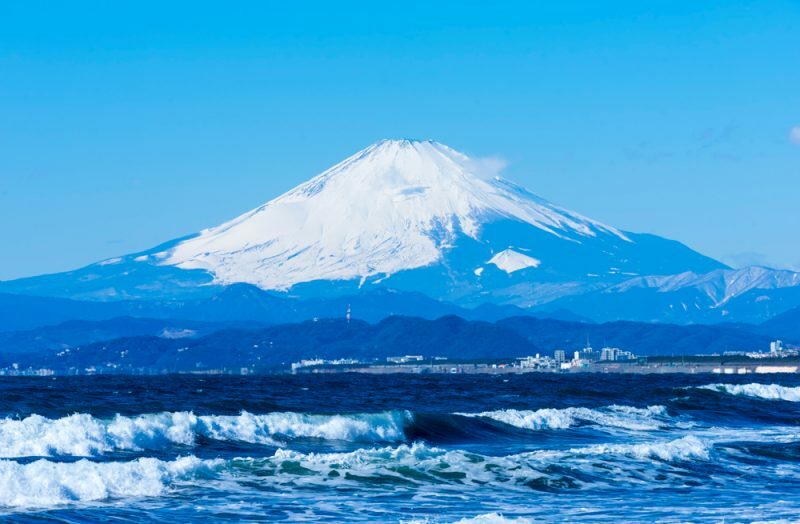 Mount Fuji is a sacred mountain in Japan, which is considered a symbol of national identity as well as beauty. The mountain has an abundance of visitors each year, many of whom choose to hike it’s trails, some who climb it and then ski down it. 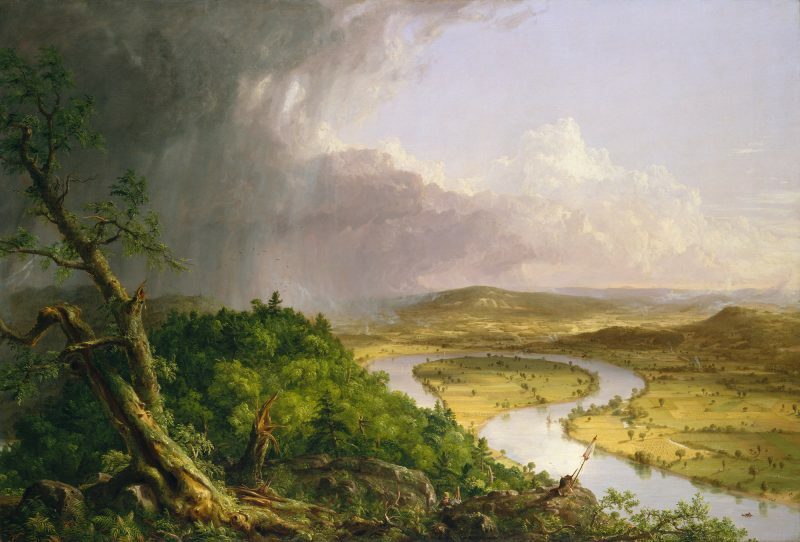 Thomas Cole’s painting, like Friedrich’s, is a Romantic panorama the the Connecticut River Valley after a thunderstorm. While it is not secret what this painting depicts, as it very clearly states it in the title. The painting has been considered as a confrontation between wilderness and civilisation. 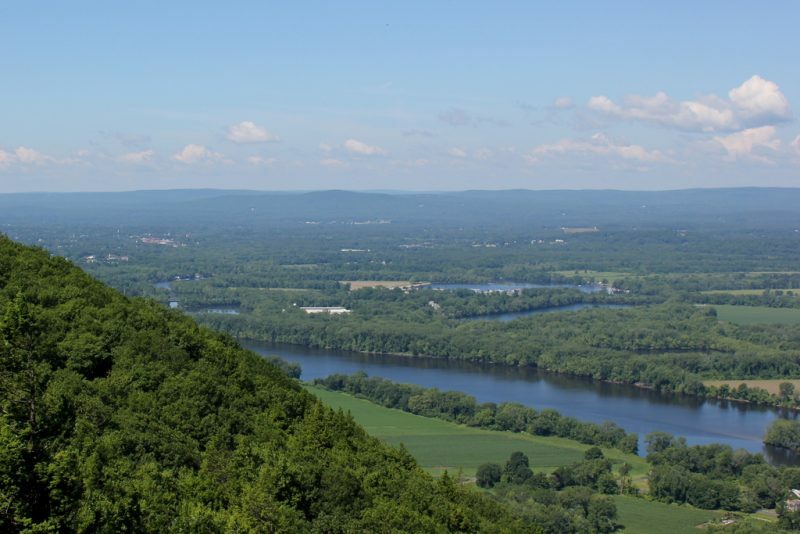 On the right, the picture depicts a much sunnier Connecticut, however the wilderness still is great and plenty; Cole captured a timeless beauty that still today shines through, and can easily be visited. 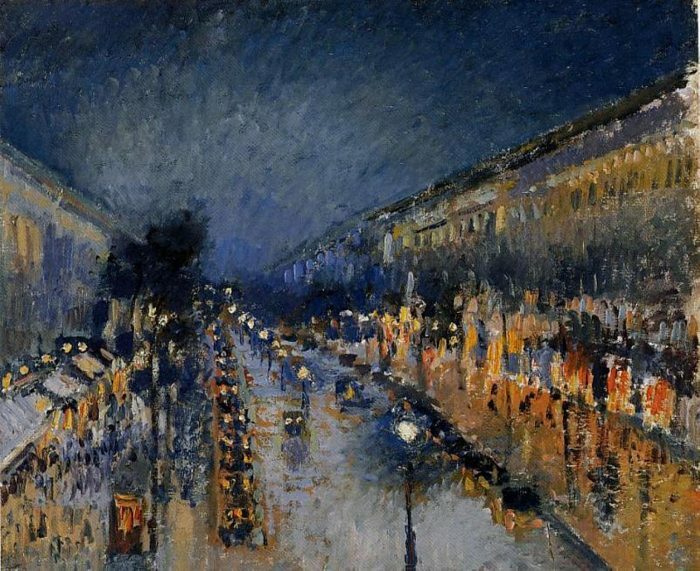 ‘The Boulevard Montmartre at Night’ by Camille Pissarro. The defining features of Montmartre – the stairs and Sacre-Coeur. This, and a hundred other things, come to mind when thinking about Montmartre, which is exactly what Camille Pissarro was trying to capture in her beautiful painting. The painting is an impression of the street’s new identity as the centre of European architecture in 1897. 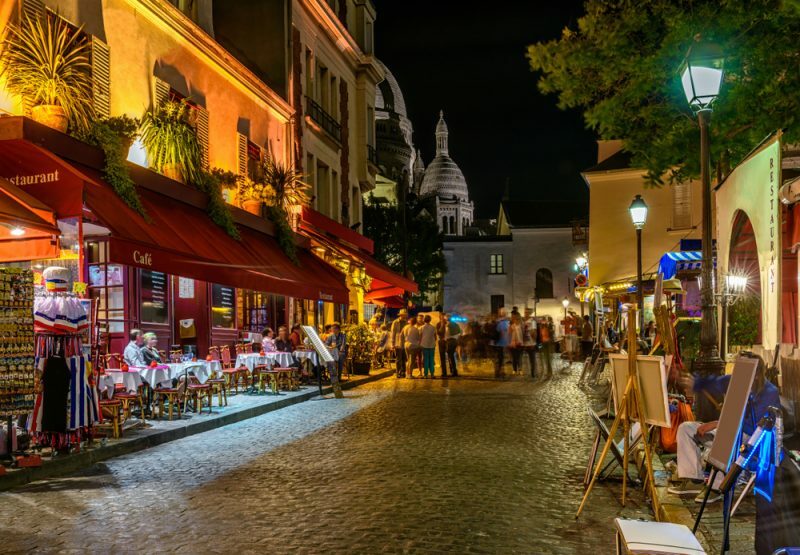 Paris is still the same enchanting and alluring city, Montmartre being very much part of that. Location is an interesting part of this renowned English painting, finished in 1821, which hangs in National Gallery in London. 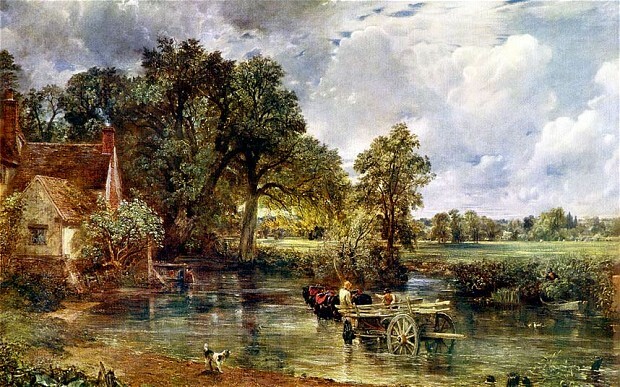 The painting depicts a rural scene on the River Stour between the English counties of Suffolk and Essex. 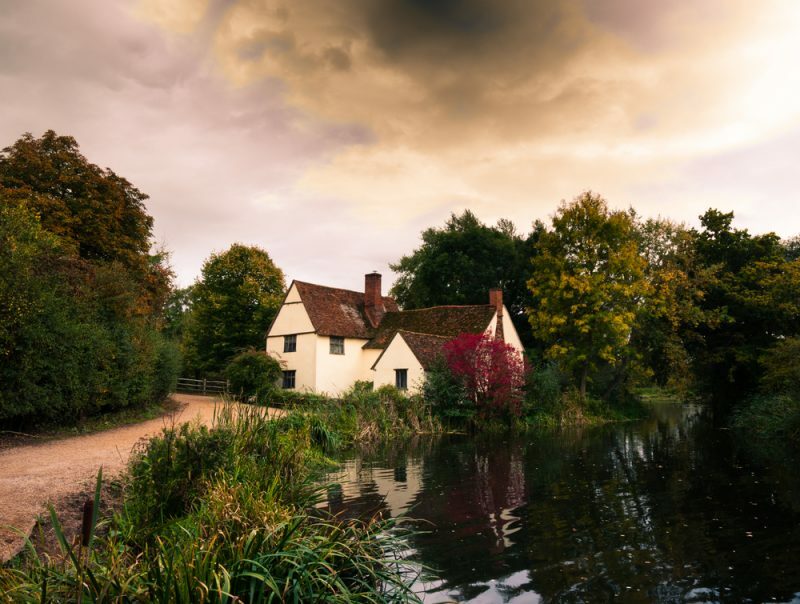 Willy Lott’s Cottage is visible on the far left, which is near Flatford Mill in Suffolk. The Stour forms the border of two counties, while the left bank is in Suffolk, the landscape on the right bank is in Essex. The cottage is owned by The National Trust and is used as a base for art courses. 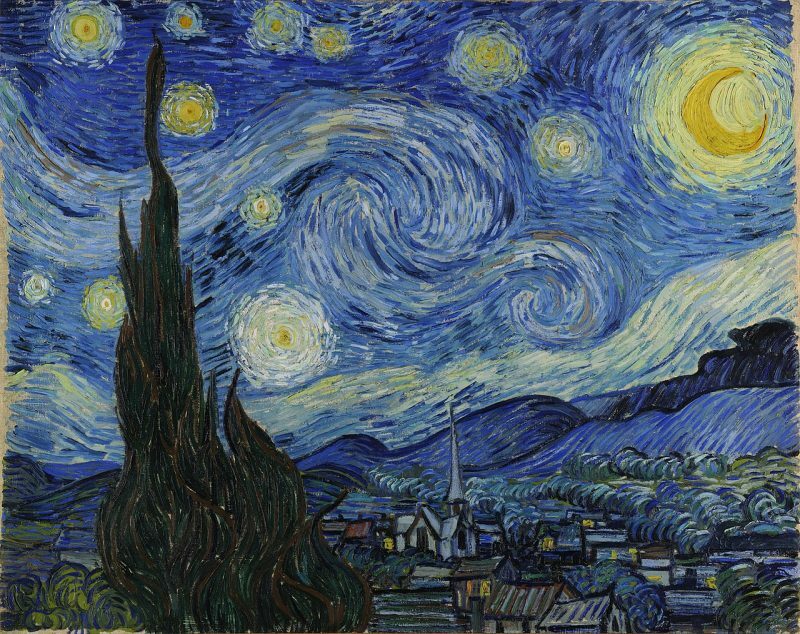 The Starry Night depicts the view from Vincent Van Gogh’s room at the Saint-Paul-de-Mausole (asylum) in Saint-Remy. 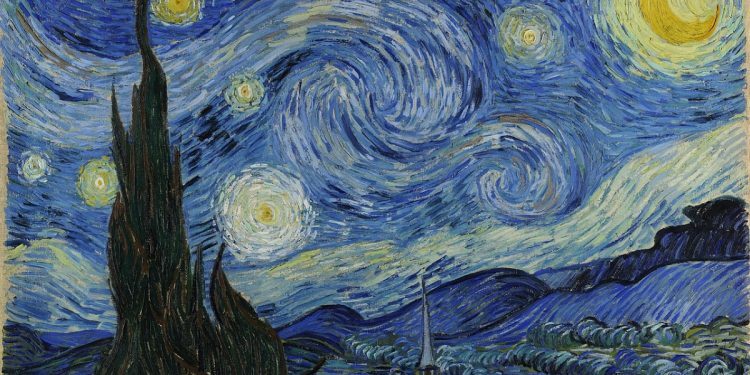 Vincent van Gogh has a collection of paintings named Saint-Paul Asymlum, Saint-Remy of which The Starry Night is a part. The asylum, in which Van Gogh was self-admitted, was a significant part of Van Gogh’s life, as he was in there from May 1889 to May 1890. He was confined to the grounds of asylum, which is what he then recreated in his art. It is possible to visit the Saint-Paul-de-Mausole (pictured) and stand in the room that overlooked Van Gogh’s view. 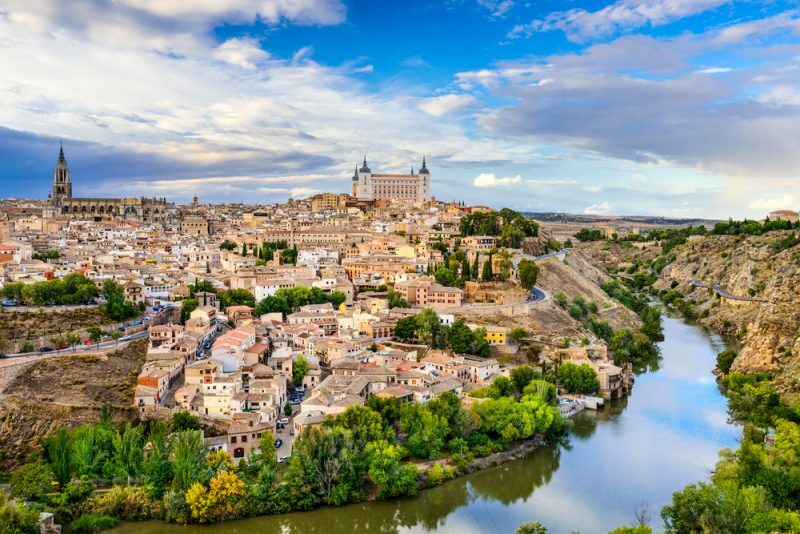 El Greco’s View of Toledo is celebrated throughout art history due to El Greco’s impeccable depiction of the sky. 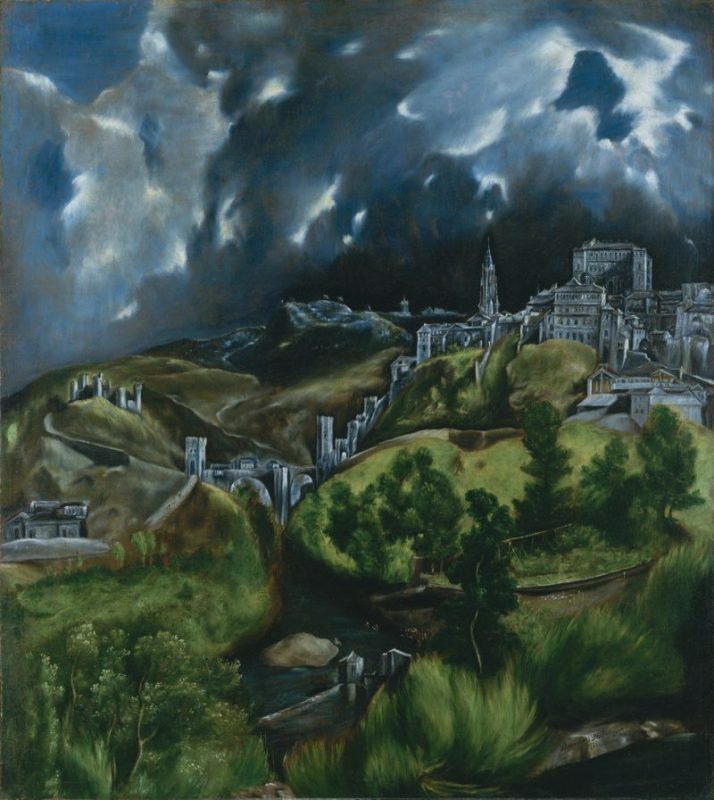 In his painting, El Greco took some liberties with rearranging where some buildings are located, however he includes the Castle of San Servando, which still stands today. Toledo has obviously changed a fair amount since El Greco produced his painting between 1596-1600. Still stunning, this rare landscape (for the time) is a timeless piece of work that plays with expressive colour and form that is considered otherwise unparalleled in art history. 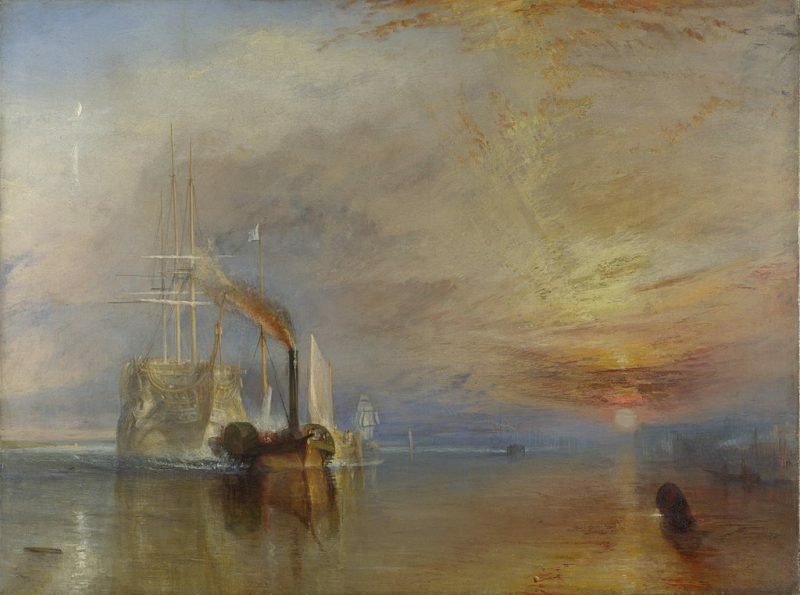 The Fighting Temeraire depicts the HMS Temeraire ship, which played a distinguished role in the Battle of Trafalgar, being towed by paddle-wheel steam tug up the Thames towards Rotherhithe. 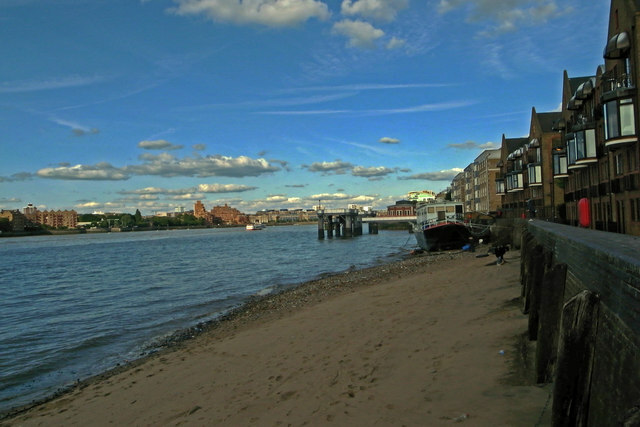 Today, the Thames and Rotherhithe, which is located on a peninsula on the south bank of the Thames, are very much alive and visit-able. The demise of heroic strength is the subject of the painting, and it has been suggested that the ship symbolises the painter himself, as he had many accomplishments but was contemplating his mortality. If you feel like doing the same, perhaps on the banks of Thames in Rotherhithe is the place to contemplate.